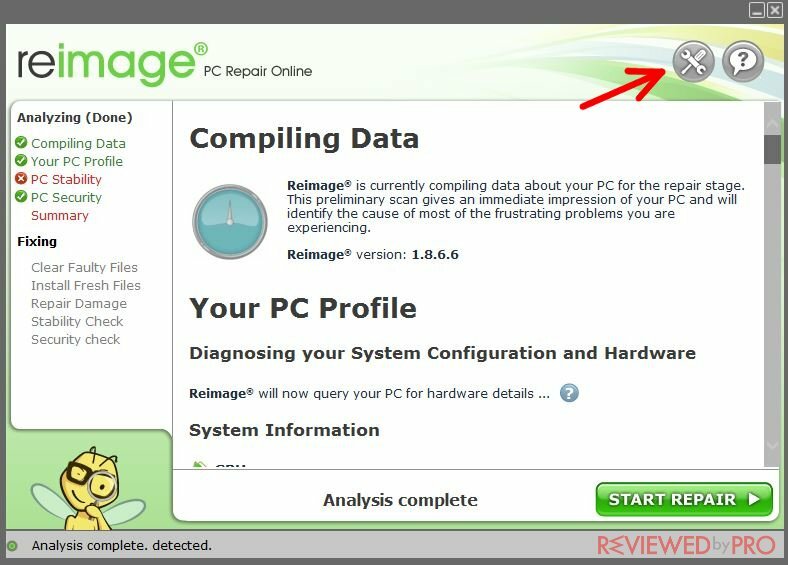 This is a complete guide to help you understand how to install Reimage on your computer and how to use it properly. Read the guide carefully and you will become familiar with the program quickly. The Reimage software is compatible with Windows XP (32 bit), Windows Vista (32&64 bit), Windows 7 (32&64 bit), Windows 8 (32&64 bit), Windows 8.1 (32&64 bit) and Windows 10 (32&64 bit). Mac and Android operating systems are also supported. You can download Reimage from this page. This won't take long because the installation file is quite small and the download process should last only for a few seconds. Once you get the file, click on it and the installation process should begin. 1. 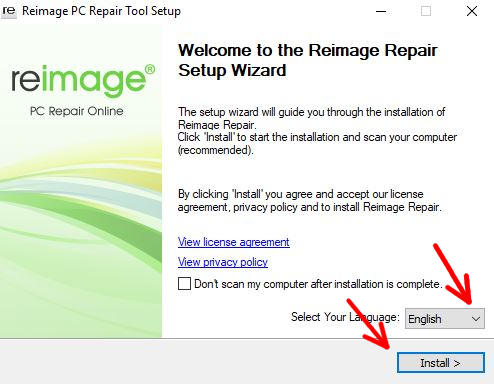 This is the Reimage installer. Choose your language first. The program will automatically scan your computer after the installation is completed. Click “Install” to proceed. 2. At this point, the installation will begin. It can take up to a few minutes. Wait until it is completed. 3. That's it! Now the application will begin its automatic computer scan. This software does not have any menu or a settings tab. As a result, there are not many features compared to other similar software. Directly after the installation, the program will perform a full system scan. The results will be shown in the main window. You can scroll down in order to read all the information about your PC. At the top-right corner there are two options, however. The first one is “How it works” – by clicking on it, you will be redirected to an Internet guide on the usage of the program. The second one is “Support” – here you can go to the support page of Reimage and ask for help. Safely recover your operating system if needed. 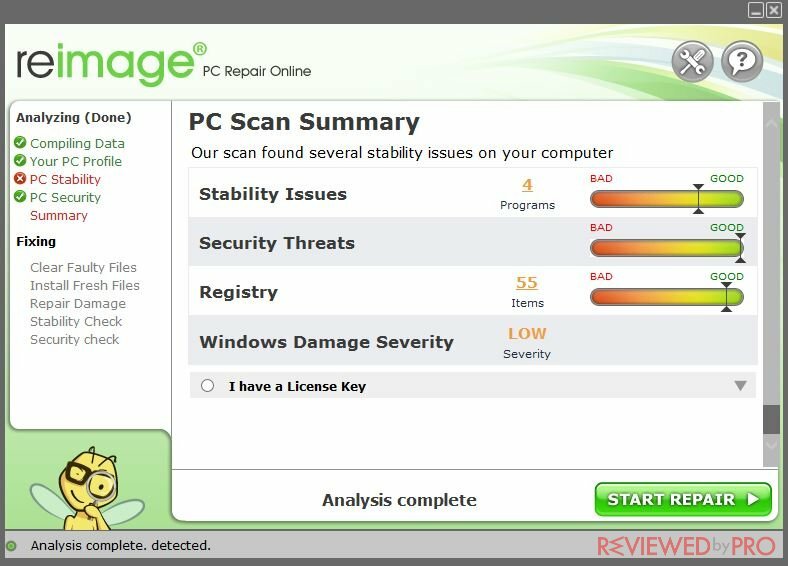 Most of today’s anti-malware software would not be able to compete with these features, because usually you will have to download several different applications to fix Windows errors, remove damaged files and more. However, these features are available only to paid users of the anti-malware app. 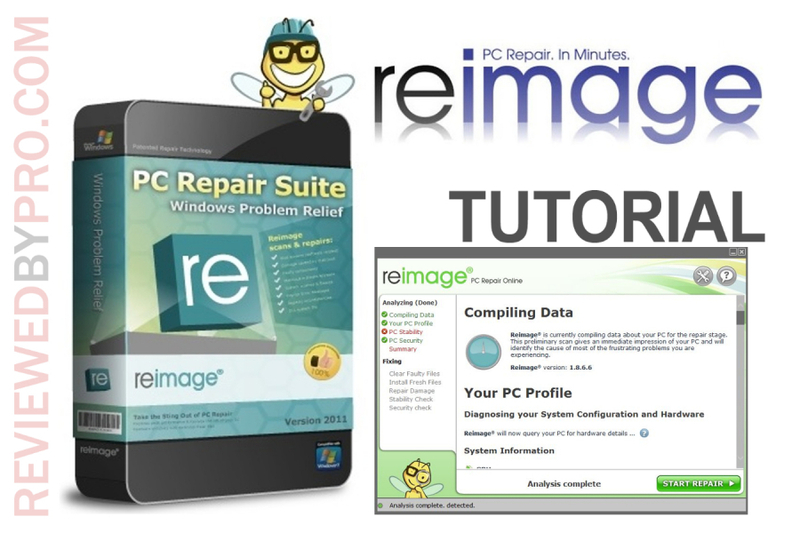 Reimage software is surprisingly simple and easy to use. In order to perform a scan, you only need to open the program and a scan will be started automatically. It takes about 10 to 20 minutes to complete a scan. Reimage will collect data about your computer first, then the PC stability, PC security, and other scans will begin. To remove all the errors and threats after a scan, you will have to buy a full version of Reimage first. You can get the full version of Reimage from this page or you can get it by clicking “Start repair”. on your program. You can pay either by credit card or via PayPal. Fill in all the required information and proceed to buy the application. Congratulations, you have successfully bought the full version of Reimage!